The Egyptians were as much a part of the Divine plan as the Jews. The additional reading of Parshat HaChodesh takes place this coming Shabbat. 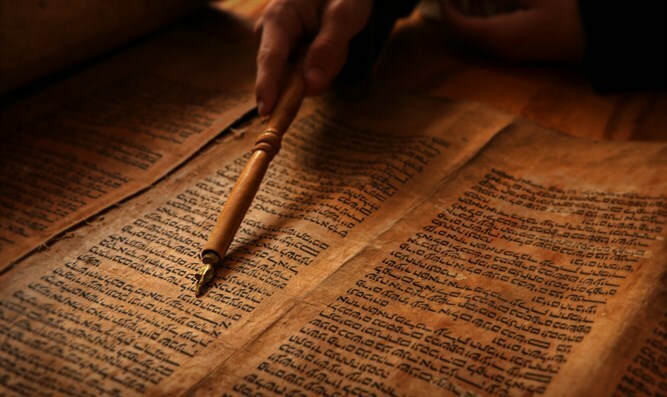 In this section, there is a review of a number of topics, including the commandments concerning the sanctification of the month and the Pesach sacrifice. The section also deals with the upcoming final plague, the killing of the Egyptian first born. What are these judgments God is referencing? Included then in the killing of the first born would be the destruction of the idols. Ibn Ezra offers a slightly different interpretation. He explains that the Egyptians themselves would turn on the idols and destroy them. It is critical to understand the basis for the above argument. The question they seem to be struggling with is what necessity was there for this “extra” action (whether by God or the Egyptians) beyond the final plague. There was something incomplete if the Egyptian first born being killed had been the final act. Why? Of the many objectives sought in the execution of the plagues upon the Egyptians was the importance of the Egyptians recognizing God as the true God. Each plague brought with it an expression of the unique control God wielded, a demonstration of power that would sway the Egyptians. Yet it was not until the final plague where the remaining step would be taken. It was not just the severity of the plague that would serve to convince the Egyptians. The notion of only Egyptian first born being killed must lead to the inevitable conclusion about God. If indeed this were the case, then why have the additional destruction acts after the completion of the plague? For Rashi and Ibn Ezra, it would appear that the issue concerns the nature of the acceptance of God resulting solely from the effects of the plague. The killing of the Egyptian first born would most certainly be a demonstration of the power of God, and would lead to some type of correct belief in God. However, the sheer devastation of the plague would lead to an overwhelming of the psyche. The loss of life, the final realization of the futility of the Egyptian position, the shock and sadness, all would mean an acceptance of God dominated by their emotional state. God would be the choice not through a philosophical introspection; rather, God would be accepted out of the depths of sorrow and fear. The objective here was to transcend the psychological realm and see the truth of God through the prism of the mind. To do so at the apogee of God’s destruction would never work. Ibn Ezra captures this idea beautifully, noting a two-stage process. The Egyptians first suffer the punishment from God. In the midst of the destruction, they can only mourn their losses. However, they are then able to take the next step, recognizing the sheer futility of idolatry. Rashi, though, differs slightly in his assessment. What idea is being conveyed in a Divine intervention resulting in the destruction of the remaining idols in Egypt? Rashi could be pointing to a specific danger that might emerge after the final plague. After such a calamitous event, without question a sense of utter despondency would descend on the Egyptian population. They would feel lost, alone and abandoned, repentant but depressed. They would need something to turn to, something to give them a sense of hope. Yes, the exclusivity of God would be clear, but where was He? The tremendous insecurity would not manifest itself in returning to the gods of old. Instead, they might see the idols as representations of God, and they would seek out something tangible. That philosophical threat had to be removed, and the ability to understand God could not be sought out through the worship of the physical had to be eradicated. No idol could be left standing. Ramban takes a much different approach. He refers to the “angelic ministers” appointed to the Egyptians. The overall metaphysical implications of this approach are beyond the scope of this piece. However, there is one crucial point that is the focus here. When speaking of Divine providence, it is tempting to see matters through the lens of the Jewish people alone. The Jews’ enslavement in Egypt was the product of a specific Divine plan. The plagues and the exodus were the culmination of the Divine plan, cementing the unique relationship between God and the Jewish people. But just as important to the Divine plan for the Jews was the involvement of the Egyptians. Those oppressed require oppressors. The Egyptians were as much a part of the Divine plan as the Jews. While this seems self-evident, there was clearly an aspect of protection afforded to the Egyptians throughout the enslavement of the Jews. In other words, the Egyptians were not simply left to the world of chance. God had to ensure the Egyptians remained in their position of dominance throughout this period. There was an aspect of Divine Providence protecting the Egyptians. This relationship would now change as a result of the final plague. The lessons of the final plague are a critical part of our overall understanding of the Pesach experience. As we come ever closer to the Seder night, we begin now to immerse ourselves in analysis of both the correct belief in God, as well as the nature of God’s relationship to humanity. The one small addition in the above verse says it all.